Happy New Year! I am finally back from a week off enjoying the Holidays! I hope you all had a great time with your friends and family and are ready to get back to "normal"! One of my best friends recently had a baby and yesterday I had the opportunity to meet the new princess! My heart is still so full and I am in awe of the mother my friend has already become and can't wait to see them both grow as time goes on! 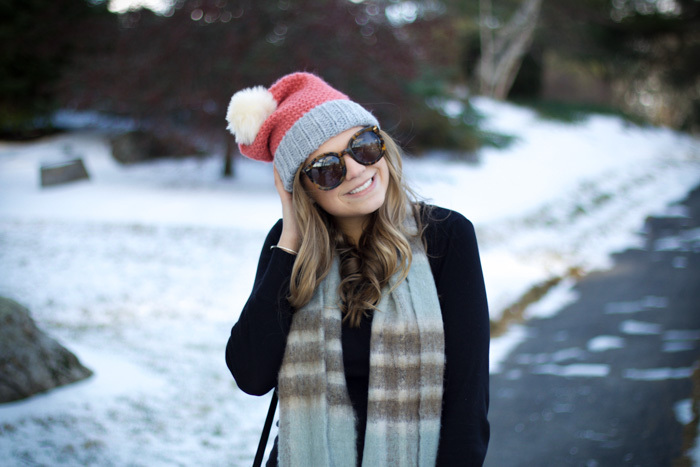 I made sure to wear something cozy and comfortable and added fun pops through my accessories! I love the colors of this scarf (Thanks, Kelly!) 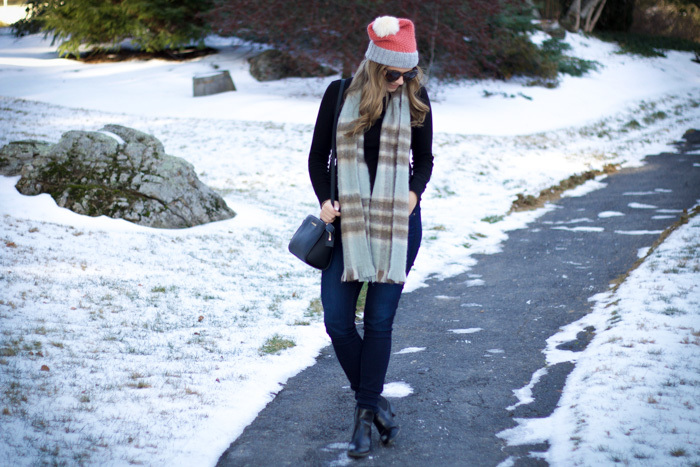 and thought it added the perfect pop to a plain black shirt and was the perfect layer to keep me warm! I NEED that cute hat! The pom pom is perfect. I'm so sad we haven't had any snow this year. You make it look adorable!